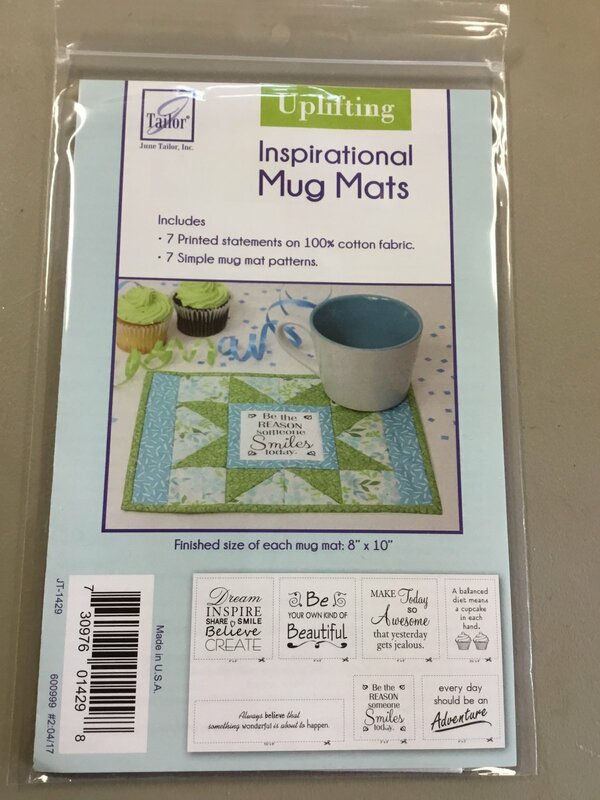 June Taylor-Inspirational Mug Mats-Uplifting. Includes 7 printed statements on 100% cotton fabric and 7 simple Mug mat patterns. Finished size of each Mug mat is 8" x 10".